The WMSCOG’s Failed Doomsday Predictions of 1988, 1999, and 2012. What Will They Predict Next? The WMSCOG has predicted the end of the world incorrectly at least three times, and 2012 will be next. Even though the WMSCOG predicted the end of the world in 2012, and numerous members have said so (see pictures to the right), some members are claiming to have never said it. Actually, the WMSCOG did say the world would end in 1988, 1999 and 2012 It also came out during the fact finding stage of Church of God World Gospel Association vs. Ji Won Tak as recorded by the Northern Seoul Regional Court of South Korea in 2005. (Church of God World Gospel Association is the direct Korean translation for WMSCOG). The judgement in the case of Church of God World Gospel Association vs. Ji Won Tak also proves that the WMSCOG predicted the end in 1988 and 1999. Some members of the WMSCOG have gone so far as to tell me that the failed 1988 prediction was a “prophesy”. Alright, I’m sure members will find some way to dismiss one or more failed predictions, but you ca not dismiss all three failed predictions. 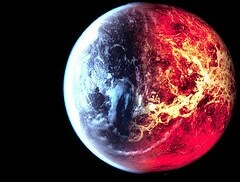 Were all three end of the world claims that didn’t come true “prophecy”? Is the WMSCOG Different From Other Controversial Groups? The WMSCOG is not the only controversial religious group that has a history of failed predictions. The Watch Tower Society, or Jehovah’s Witnesses, falsely predicted the end of the world in 1914, 1918, 1925 and 1975. It is a well-documented fact that the Watch Tower Society subsequently altered their doctrine and deleted the predicted dates from their literature. William Miller, pioneer of the Adventist movement, also falsely predicted that Jesus would return in 1844. This caused three divisions in the Millerite movement; each with three separate explanations for the Great Disappointment of 1844. The third group explained the failed prediction away by claiming that the cleansing of the sanctuary that was predicted to happen on earth in 1844, actually “took place in heaven”. More recently, Harold Camping falsely predicted that the rapture would occur on May 21, 2011 and when his prediction failed to materialize, he revised his prediction and claimed that what had occurred was a “spiritual” rapture and that the “physical” rapture would happen on October 21, 2011. News 24 reported a decrease in the number of Camping’s followers following the failed prediction in May of 2011. We all know that his second prediction did not occur either. Rumors? 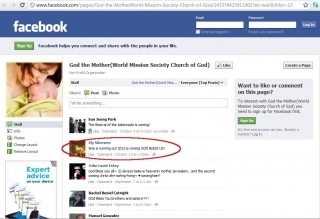 It appears to be documented by Church of God World Gospel Association vs. Ji Won Tak. 300 of their members causing disruption outside a man’s store and with some members assaulting him after he chose to no longer be a member and spoke out against the organization according to this court case pages 4, 7-8. Now that you have this information, I pray it will help you to find the truth. *The photo above is licensed under the Creative Commons license, available here. Nice work! Keep the truth coming! Zahng says the 144k are going to heaven September 23rd 2015 because it is the end of Jubilee year (exactly 50 years after the COG was established) on atonement day. Jubilee means people return to their own property. Christina, are you a sister in the church? How can Zhang be god if she lives lavishly and all the churches in Korea are huge and brand new, yet she makes members from across the world buy everything for their churches? They already pay tithe and offerings but she makes them even pay utilities, supplies, and food? Not to mention the money for events and giving all their savings for house churches. She says the world will end this year on September 23rd so the members need to sell everything they dont need and give the money to the church. Also the children are forced to stay up late at night every night. Each COG stays open until midnight or later. That’s called child neglect. Why don’t she use tithe and offering for the churches? She’s rich, her korean leaders are rich, and her children are dirt poor? Does god make little kids suffer? Does god do illegal activities? This is a for profit church. The Koreans do anything for money. Even if its illegal. What??? Zahng/Chang/Chung or whatever name she goes by next is NOT living in Korea? The people involved are NOT paying for this stuff? There’s nobody in the WMSCOG that has given up everything? I’m not sure what kind of comedy you are looking for here but it seems that You are the one living with a lack of Biblical Knowledge and certainly an inability to see what’s right in front of you. Take the wool off of your eyes and see what IS going on around you! The truth is real and it is not in the WMSCOG! My cousin has attended the Church of God for four years now. This was the same time in which I began medical school, so I don’t partake but keep my faith in mind. I get curious about what goes on in her life, especially since she started going there. Apparently, they won the highest award in England, The Queen’s Award, and they are Members of the Most Excellent Order of the British Empire. I’m conducting my residency in Manchester next year, so in terms of receiving titles in the United Kingdom, it’s incredibly difficult for any non-profit organization or groups collectively who apply for the award to get past the preliminary stages of the application process. However, the first church organization in history, especially since it was WMSCOG, received it. I only have the utmost respect in the Queen’s and parliament’s decision and respect WMSCOG for the good they do internationally. On another note, eschatolgy is also illegal in Korea, so they wouldn’t even be teaching about a certain year or date regarding when “the end of the world” would occur. There was a court case in Korea where they tried to sue someone for saying they were teaching the end of the world. They lost. They most definitely were teaching doomsday doctrine. I’ve heard them say the end was going to be in 2012. Not just one member, either. Many. You say you don’t go to the church, and it’s because you were attending medical school. Why did you think you needed to say what you were doing as an excuse? I know how the Wmscog uses titles of members etc., to justify themselves. It’s like “Look at this doctor, engineer, professor, whatever. They believe in Mother and our church. So why shouldn’t you with your feeble mind and no title believe?” I don’t fall for that. If you look at the Milgram study, you’ll see why they use titles to try to sway people. Not valid. I think you are trying to say you are very smart, a doctor candidate, no less, so what you say here should be very convincing. Sorry, they’ve fooled a lot of smart people. Obviously, you are either a member, or just another smart person taken in by a clever con. As they say, FOURTH TIME’S THE CHARM, right? ask her the questions that there is no answer to. Or you can ask here. I will help you in what to say and ask. you dont understand the difference between shadow and reality. you are saying that because you are not in the truth. that’s satan trying to trick you. you are just trying to prosecute us, that fits prophecy, therefore wmscog is true church in the bible. ajumma thank you for commenting. We have already addressed the empty statements like “if you believe the bible you believe…” here in these articles. We also understand that the WMSCOG scares you into thinking that the devil is out to get you all of the time as pointed out this article here. How are we persecuting you? By pointing out the facts about the WMSCOG exposed in a legal document? Do you think that hearing the pastors and others in the WMSCOG criticizing other denominations during services fulfills prophecy too? According to your logic, the Catholic Church and all Protestant churches are the true churches in the Bible. To the readers out there, if you would like to sound like these drones, contact your local WMSCOG and sign up for a “Bible study”. If you don’t know where your local WMSCOG is, then just hang out alone at your local mall or college campus and they will find you. If the catholic church is the true church, then why does the bible also speak about the catholic church being the mother of all prostitutes; that is the only church that drinks from a golden cup. You guys may have a point on the other stuff mentioned, but based on the bibles teaching, the catholic church is not the church of God. 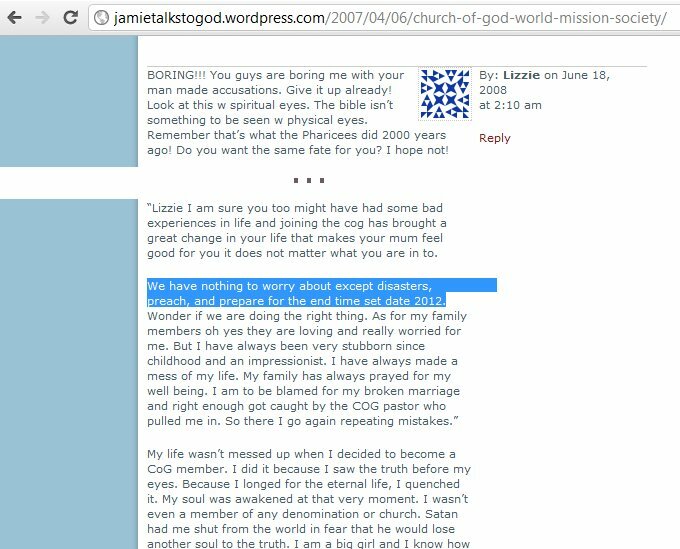 Anonymous, this entire site proves that the World Mission Society Church of God is not the “true church”. What evidence do you need in order to finally realize it? So the bible says that there will be a church that drinks from a golden cup and that one sign is enough to show that the catholic church is the mother of all prostitutes? Why don’t you sign up on the forum and discuss with us and prove how you came to that conclusion? Have you read 1 John 2:22? Does it not describe who is the liar and the anti-christ? Does it not say that whoever denies that Jesus is THE Christ is the liar and the anti-christ? The moment you make Ahnsahnghong another christ, does it not mean that the bible proves that the wmscog is the liar and the anti-christ? last time i checked, a court case is not “man’s opinion” any more than publishing it is persecution. i was a member for many years its not to make you feal like that its about the facts at hand and why it makes you feal that way. when god made man in his image he made adam only read Gem 2:8 who do you see there in the garden? It states god had put the man there. He is there alone Eve had not yet been created till the next day from Adams rib. So when God made man in his image he only made Adam he did not make Eve when he said lets make man.Then the bible states why Eve was made because Adam was alone and had no helper she was taken from ADAM and his rib. that means in adams image not Gog. in gen it is telling you the events of what is going to take place god mad man and then a woman but it was not at the same time or in the same reason. nonsense Adam and Eve were both made on the sixth day God the Mother or no God the Mother. In fact, God did NO work on the seventh day God the Mother or no God the Mother. ok we will go with that for now, but god did not make them at the same time when he spoke of there creation. for a day is like a thousand years on earth but in heaven a thousand years can be like a hundred thousand years for in heaven there is no such thing as time and that’s where the story of Adam and eve first takes place. Gen chapter one is clearly the order of the things to come not the event itself. That is made clear in gen 2:8 because god put Adam in the Garden of Eden and he was alone and alot of creating takes place before eve is created. Then god created eve from Adams rib because he was alone and had no helper. We can therefor trace eve to Adams genealogy but you cannot trace Adams genealogy to anyone but God creating Adam in his image. That’s why Adam said this in now bone of my bones and she shall be called woman for she was TAKEN OUT OF MAN. Its clear Adam gave her the name woman it was not given to her by god in gen Ch. 1 because Adam named all things on earth. Gen 2:7 it states again God formed man from the dust of the ground and gave him life. Again no mention of eve at the time of his creation of Adam only Adam. So it’s clear only Adam was created when god said let us make man in our image. Then the creation of eve is described in gen 2:20 while god is talking about animals he mentions eve along with them in the same sentence because she is like the animal or the beast of the field. The WMSCOG even teaches that the serpent deceived eve because she was not created when god told Adam not to eat from the tree of good and evil. She had not yet been created so she was not told by god not to eat from the tree of god and evil so the devil deceived her.Did god say lets make eve in our image when she was created NO HE DID NOT.not to meanton god gave Adam his name and Adam named his wife eve in gen 3:20 should I go on? Adam and Eve were not made on the same day. If you read the bible you will see that this is fact. Adam was made first, than God made all the creatures of the earth and let Adam name them. The next day, God made Eve from Adams rib so he would not be alone. How new are you in the church? why dont you tell me about copy and shadow I know it well. pleas explain it to me and what it has to do with anything pleas. I understand the copy and shadow teaching as it was taught, but this teaching is flawed and not scriptural by any means. I’m a former member. Please keep up with the good work! May the Great Alfa and Omega continue to bless your work as your words may lead those back to remember there one true love of Jesus Christ. Thank you so much for all of your time and effort! May many repent and learn the meaning of true discernment that we never stray again. Remember people God speaks to us but so does the prince of the powers of the air. Do you know who you are really listening too? I’m absolutely thankful that you created this site. It’s just awesome. thank you Andy. I hope it has been of some help to you. Hi Emily. If what you say is true I will be doomed but if what WMSCOG says st true you will be doomed. WMSCOG follows the teachings of JESUS, sabbath, passover etc as you know All these are the teachings of the bible which God commanded us to follow and the WMSCOG teaches us this. Now you tell, without following commands of God can I enter HEaven? Hello janet and thank you for commenting. You need to press the reply button when commenting so that the person you are replying to receives a notification that someone has replied to their comment. Have you read the context around the studies you were taught in the WMSCOG? I’m guessing that you haven’t. Please read these articles here. follow the examlpe of crist which the WMC has failed to do and keep gods commands somthing the WMS has failed to do. Dont you see they have put aside the commands of God who is crist. there mother does not know when someone lies to her face how can she enforce or keep the truth if thats the case. Soloman and high prist had more ability than God in the flesh. How con the truth be keept if no one there has disernment to administer justice. Thingk harder about crist examlpe he had dissernment and always knew what people were thinking and going to do. Hi, recent to this site, as well as a recent, EX-member. You had a great point about how WMSCOG can’t “administer” justice. Members have told me stories of members being yelled at, and told to leave by Overseers. Then the overseer tells the Congragation, “See they were never “true brother or sister because A man shouldnt be able to make you leave!”. I never understood that. How does God have mercy allowing an overseer to yell at members for non sinful acts (I saw my old Elder yell at a new member for sitting slumped over, called her, “ghetto!” and advised her to leave). ThereHow does God allow that. Your website is extremely informative and helpful. Two of my family members are apart of this church. How can I help them see the truth or better yet the deceiver in action. Any advise would be greatly appreciated. Also, where’s the proof of the 1999 doomsday theory? Isaac, read the court case. Oh dear, removing the WMS members or anyone who opposes so that the person writing the article can “maintain” credibility. Note: Counterarguments are important in any discussion. Period. I am so grateful for this site. I visited WMSCOG three times because a close family member has joined. What is the hidden agenda in recruiting the youth? I asked why their parents, brothers and sisters, aunts and uncles were not present like typical churches and their response was they are blind to the truth. During the sermon the deacon told its members that the other churches are satanic and WMSCOG was the only true church. 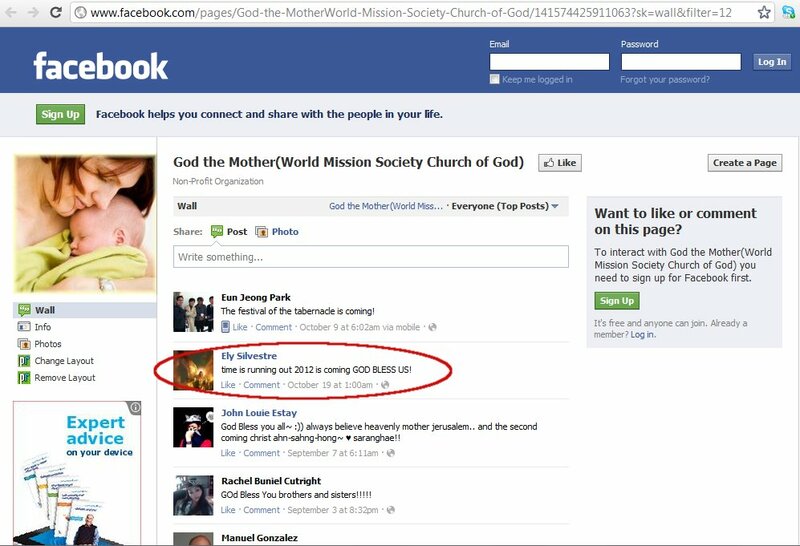 This FALSE KOREAN MESSIAH is deceiving our youth by joining. Any advice on how to get my family member out of this ludicrous place??? In the church of God, they have never once said to me it will end in 2012. However, many including myself believe that no matter what day God destroys the earth we want to be spiritually ready regardless. Kayla, are you in the WMSCOG or the CoG? Please take time to read and research for yourself the things in this website. You wont be spiritually ready if you don’t know the truth. i take it, you recently joined the church? My fiance joined their church and I need ur help to save her please……. So my Girlfriends brother just joined their church about 2 months ago, any clue on how i should approach him about this being a false teaching. i ask him to come to my church and he refuses, i just want to help him. any clue on how? Keep the lines of communication open and don’t debate scripture and doctrine with him. Point out things that will raise questions especially ones that can only be answered by realizing that there is something that’s not quite right. Keep it light and keep it friendly. If he feels attacked now he wont feel like he can come to you later when he’s thinking about leaving. Brothers and sisters this organization’s teaching is not in line with actual scripture. The teachings are false and very convincing and very dangerous for souls. Too many secrets, no real clarity, and fear has become its number one tactic in keeping its members. This is not to say that some of the general Christian churches are not flawed; however, this particular organization in question has no real love in it and is a no, no. In due time it will reap what it has sowed. I do not speak out of ignorance – I was a member for a long time. Thank you for saying that Sarah. Really ! God Bless you and welcome home. God bless you and you are welcome. Thank you Sarah. It takes so much courage to speak out. I hope others will as well. It is people like you who are the leaders. God bless you. It was very damaging for me so I have to speak out in Jesus Name. This WMSCOGS they will end up in Hell soon, in Matthew 24: 36 says no one knows the when end will come, only God the Father knows why this evil men are saying all this? we know Jahng Gil Jah paying them more money, nonsense. My wife just read this scripture: Titus 3:10-1 Avoid a man who is a heretic, after the first and second correction, knowing that one who is like this has been subverted, and that he offends; for he has been condemned by his own judgement. if anybody claim he or she been in wms for three years and NEVER been told about the 2012 end of day prophecy (2013 february if you want to argue with lunar calendar argument such as a those i confronted about 2012 when the year passed), then i can asume that person is either a liar or clueless. and what sarah said is exactly correct, no denomination is perfect but this “company” called wmscog is not and should never even be considered as religion. Thank you for this site! My brother has fallen for this cult and is brainwashed. I pray that one day he too will see the truth and return to God and that he can help save people from that cult with the truth, like you guys are doing. Again, thank you, it’s a great resource but also let’s not forget to pray for these people, I saw how my brother fell, he loved all the conspiracy theories and connections he thought he was discovering. So glad to see this website destroy those lies. Find the answer to this erroneous accusation here! According to your mission statement:…[this comment was moved to the forum for further discussion]. I have a family member in the WMSCOG and apparently they have predicted yet another end of the world in 2014. Anne, I have heard that as well. It isn’t very specific though. I’ve heard possibly a comet from one person. Is that what you have heard? Or is it because of a nuclear blast or something, which North and South Korea seem to be building up to. My girl friend says things like that all the time. They’ve got her thinking the world’s gonna end. It’s pretty crazy. that the house is just a shadow….so sad!!! Just putting this out here, as zhang is 70+ old now I think this will be quite interesting in another 20 years time. Your correct Kai. My family rrcently left after 4 years. In 4 years there have been a number of “prophecies” hinting at the end, but when the don’t come to pass, therr is an excuse.